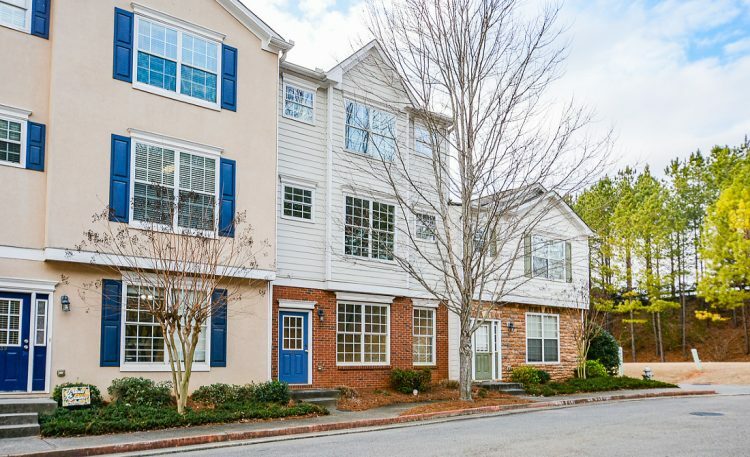 Pristine move-in ready 3 bedroom, 2.5 bath townhome in the heart of Canton! Fresh paint & new flooring throughout plus new stainless 5 burner gas stove, side by side refrigerator & microwave. Large private deck overlooks wooded area. Washer/Dryer. Two car garage plus assigned outside spot. Swim community. Super convenient – Walk to restaurants and shopping! !